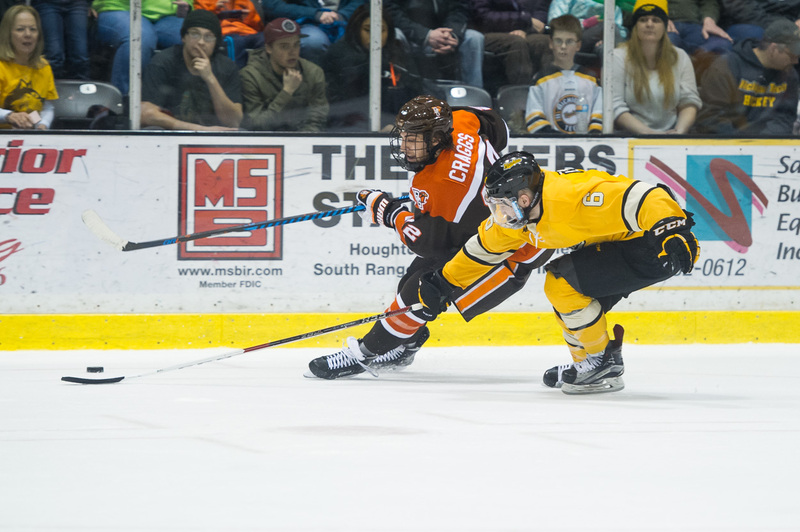 The Falcons are playing their fifth season of competition in the WCHA. In their short time in the conference they’ve always reached at least the semifinal round of the league, including a run to the Championship Game last season against Michigan Tech. Bowling Green has again set themselves up for another possible deep playoff run after clinching home-ice advantage in the quarterfinals. If you’re new to following the team/conference or wonder how the matchups might shake out we’ll try to paint a clearer picture. The WCHA is unique in that not every team qualifies for the postseason playoffs. Only the top eight teams will qualify for the chance at the Broadmoor Trophy (WCHA Playoffs champion) and an automatic bid in the NCAA tournament. At the conclusion of the regular season the teams are seeded one through eight and will be re-seeded after each round. The quarter and semifinal rounds are best-of-three match-ups with the higher-ranked seed serving as host. The championship game is a single game, winner-takes-all match-up where the higher ranked seed again hosts. The 2016-2017 season was the first season of the new WCHA Playoffs format. Three teams have already clinched home ice in the quarterfinals: Northern Michigan, Minnesota State, and Bowling Green. Bemidji State and Michigan Tech have qualified for the playoffs as well and are fighting for the final home-ice spot. A) If two or more teams are tied, and all tied teams have played four contests against one another, then the team with the highest accumulated points percentage from these head-to-head contests will be granted the higher seed. B) If two or more teams are still tied (or all tied teams have not played four contests against one another), then the team with the greater number of conference wins (in regulation and/or 5-on-5 overtime) will be granted the higher seed. C) If two or more teams are still tied (or all tied teams have not played four contests against one another), then the team with the fewest number of conference losses (in regulation and/or 5-on-5 overtime) will be granted the higher seed. D) If two or more teams are still tied, and A) above is not applicable due to an unbalanced home and away schedule amongst one another, then the team with the highest points percentage in all head-to-head contests among the tied teams will be granted the higher seed. 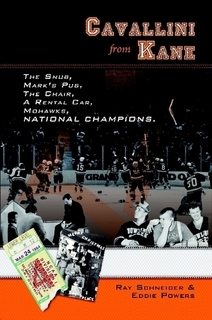 E) If not determined by A), or B), or C), or D) above, the recipient of the highest seed shall be determined by comparison of the points percentages of the tied teams, against the remaining highest ranked WCHA team successively, until the determination is accomplished, or all conference contests have been considered. In the event of multiple ties within the standings that become dependent on one another for determination, the procedure shall be applied to the highest tie first, using combined points percentage against all teams involved in the lower tie(s) and continuing through the order if needed. If this fails to break the highest tie, the procedure shall be applied to the next highest tie (and so on if needed), using combined points percentage against all tied teams as needed when proceeding through the standings. F) If not determined by A), or B), or C), or D), or E) above, the recipient of the higher seed will be determined by a team’s “winning margin” during conference contests. “Winning margin” is equal to conference goals for minus conference goals against. In the event of multiple ties within the standings that reach this step, the procedure shall be applied first to the highest tie in the standings. If this fails to break the highest tie, the procedure shall be applied to the next highest tie (and so on if needed) until any tie is broken and all procedures are re-started. G) If not determined by A), or B), or C), or D), or E), or F) above, the recipient of the higher seed shall be determined by the flip of a coin. In the event of multiple ties within the standings that reach this step, the procedure shall be applied first to the highest tie in the standings, after which all procedures are re-started. The playoff picture is still hazy since not every team has played the same amount of conference games, but we’ll go team-by-team and see if we can put things in focus. If you’re here looking for the BG slant on things and are wondering about their exact situation, here’s what it’ll take for Bowling Green to take the top seed and the MacNaughton Cup. First, the Falcons need to take, at minimum, 10 points out of the 12 that are possible in the final two weekends. Assuming the Wildcats and Mavericks ahead of them lose out (not likely) then BG would take a one point lead over Northern Michigan. Even if BG takes all 12 points available for the rest of the season they’ll need to hope NMU picks up two or less points and MSU takes three or less. BG loses the tiebreakers to the Mavericks due to the B tiebreaker outlined above. It’s too early to determine the tiebreaker against the Wildcats. The second-best situation for Bowling Green would be finishing ahead of the Wildcats while the Mavericks take first place. A second place finish guarantees BG home-ice in the semifinal round if they advance that far. The most likely scenario sees the top four seeds read: 1) MSU, 2) NMU, 3) BGSU, 4) BSU, but with another week of league action taking place we won’t have the best view of the possibilities until around 10:30 PM this Saturday. We’ll be breaking down the possibilities going into the regular season’s final week next week as well.